Fits up to 18” Calf. 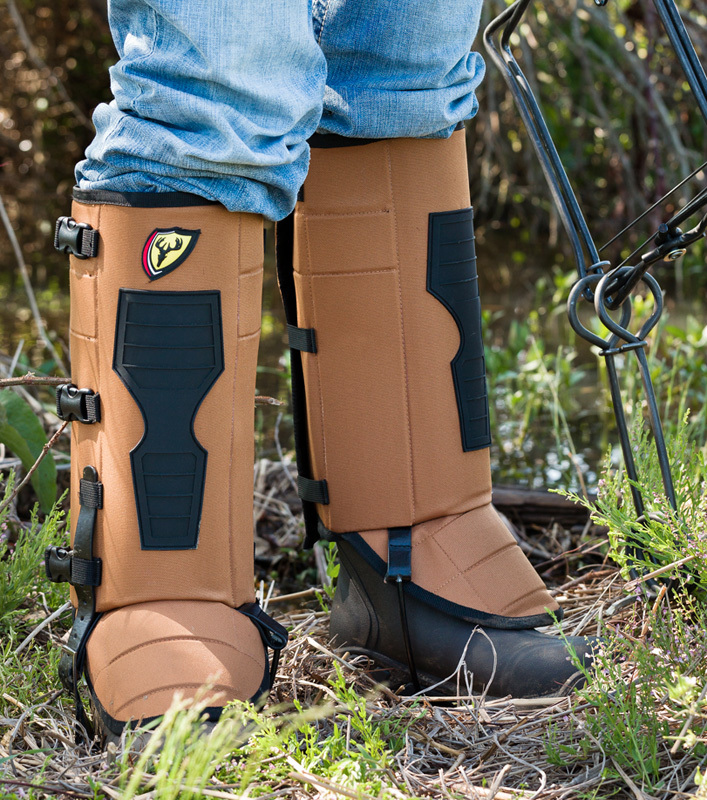 Lightweight, durable polyester shell protects your lower legs from snake bites, thorns and briars. Plus, the Rainblocker® protection makes them 100% waterproof, while the brush blocker shin guards provide extra abrasion-resistance. Unparalleled comfort is also achieved thanks to the 3 adjustable straps that wrap around the leg while the adjustable stirrup sits under the boot allowing you to find the perfect fit. Measures 17” tall. Color: Buckskin.